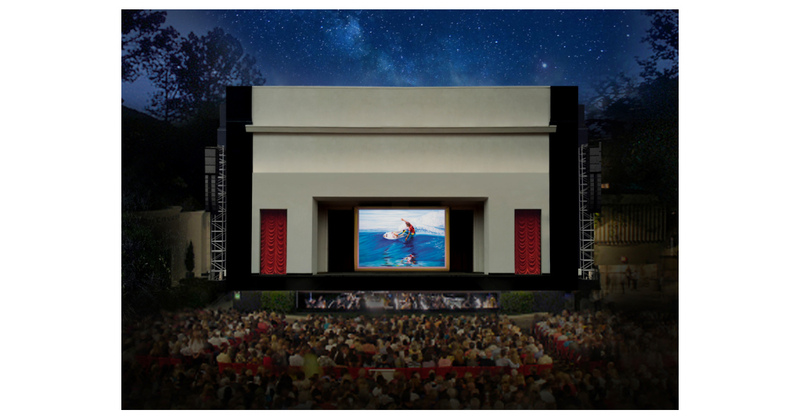 LAGUNA BEACH, Calif.–(BUSINESS WIRE)–The Celebrity Benefit at the Festival of Arts and Pageant of the Masters, the most entertaining and star-studded night of the summer art season, will be held in Laguna Beach on Saturday, August 25. This red carpet one-night affair will offer guests an evening of fine art, entertainment and a special performance of this summer's popular Pageant of the Masters, “Under the Sun.” Proceeds will support the Building Fund for renovations of the Festival of Arts and Pageant of the Masters facility. The event begins at 5 pm with a private viewing of the Festival of Arts Fine Art Show and red carpet arrivals walked by attending celebrities, including the evening’s Pageant host actress Sarah Drew and musical performer Steve Tyrell. Other guest celebrities scheduled to appear are Patrika Darbo (The Bold and the Beautiful), Kate Flannery (The Office), Matthew Gray Gubler (Criminal Minds), Daniel Henney (Criminal Minds), Tricia Helfer (Lucifer), Kate Linder (The Young and the Restless), Erica Luttrel (Salvation), Joe Mantegna (Criminal Minds), Mishel Prada (Vida), Dallas Raines (ABC7 News), Adam Rodriguez (Criminal Minds), French Stewart (NCIS), Vanessa Claire Stewart (Alex and the List), Tony Tantillo (CBS2 News 'Fresh Grocer') and many, many others. Guests will enjoy an intimate concert on the Festival green at 6 pm, performed by Grammy-winning record producer and vocalist Steve Tyrell. Ever since his glorious surprise version of “The Way You Look Tonight” in the 1991 film Father of The Bride, Tyrell has been setting A New Standard (the title of his 1999 debut album) for interpreting the Great American Songbook. Nine of Tyrell's own albums have reached top-five status on Billboard's Jazz charts, with his most recent “A Song For You” hitting #1. He continually works to reinvent the American Standards Songbook and connect classic tunes to a modern audience, performing extensively with his band and with orchestras across the country and around the world-from the Hollywood Bowl to Carnegie Hall to Buckingham Palace. After the concert show, actress Sarah Drew will draw the winning ticket for a 2019 Acura RDX ($38,295 value). This is the conclusion of a summer-long raffle. Since the Festival season opened on July 5, visitors have been purchasing their raffle tickets in hopes of being the lucky winner. Raffle tickets will continue to be sold right up until 8 pm that night: $5 for one ticket, $20 for five tickets (winning ticketholder need not be present to win). Culminating the evening, guests will enjoy a special performance of the 2018 Pageant of the Masters production of “Under the Sun,” introduced by the celebrity host Sarah Drew. Drew is best known for her roles as Dr. April Kepner on ABC's Grey's Anatomy, Hannah Rogers on WB's Everwood, and the voice of Stacy Rowe on MTV's Daria. Other television credits include Nora/Demon on WB's/CW's Supernatural, Suzy Pepper on FOX's Glee, Kitty Romano on AMC’s Mad Men, Rachel Rosenzweig on USA's In Plain Sight, Chloe Richardson on ABC’s Castle, Judy on ABC’s Private Practice, and Suzie Keener on CBS’ Medium. Drew most recently starred as Cagney in the CBS pilot reboot of Cagney & Lacey. Film credits include Moms' Night Out, Tug, Front of the Class, Reinventing the Wheelers, American Pastime, The Baxter, and Radio. Theatre credits include her Broadway debut as Eugenie Loyer in Vincent in Brixton (John Golden Theatre) and regionally, as Emily Imbrie in Third (Geffen Playhouse) and Juliet in Romeo and Juliet (McCarter Theatre). This past year, Drew ventured behind the camera, making her directorial debut directing the six part web series Grey’s Anatomy: B-Team. She can next be seen in theaters this October starring in the feature film Indivisible, which she also produced. Drew resides in Los Angeles with her husband Peter, children Micah and Hannah, and rescue dog, Lucy. Tickets are on sale now and range from $50–$240. There will be limited and open seating for Steve Tyrell’s performance and assigned seating for the Pageant of the Masters. The event is sponsored by Southern California Acura Dealers, KOST 103.5 and Yamaha. To purchase tickets, go online to www.PageantTickets.com or call 1-800-487-3378. The Festival of Arts is a non-profit organization that produces the Festival of Arts and the Pageant of the Masters. For general information, call (949) 494-1145 or visit the website at LagunaFestivalofArts.org. The event is located at 650 Laguna Canyon Road, Laguna Beach, California. Proceeds support the arts and art education in and about Laguna Beach.